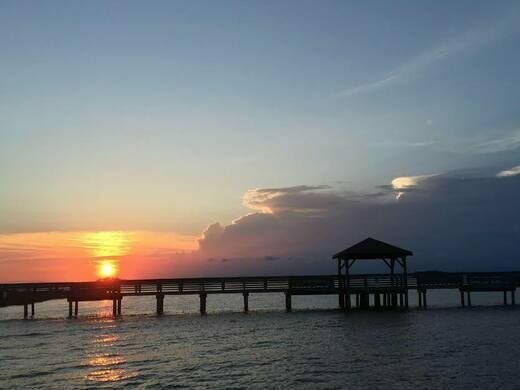 In fall, winter, and spring, people driving over the William B. Umstead Bridge (locally referred to as the Old Manns Harbor Bridge) in North Carolina’s Outer Banks can cruise at a steady 55 miles per hour. In summer, though, they have to slow down and share the road. 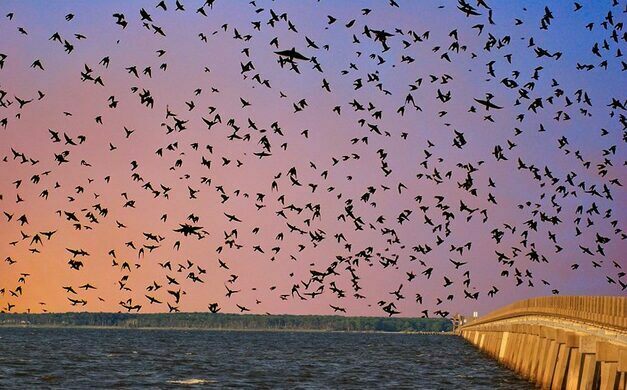 Starting in July, tens of thousands of purple martins—large, agile swallows with throaty calls—fly from as far as 150 miles away to roost in the bridge. By mid-August, they’ve left again to head to their winter grounds in Brazil. Since these traffic changes were made in 2007, the bird death toll has dropped considerably, and humans are safer too. Drivers motoring respectfully along can watch as huge flocks of martins leave for the morning or come home at night. 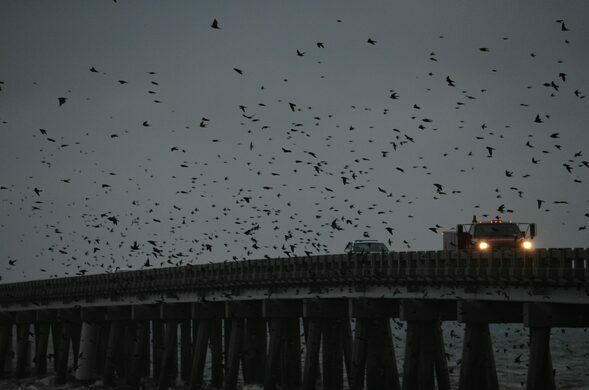 If you’d rather watch the birds while standing still, the Coastal Carolina Purple Martin Society has installed an observation deck, the BeBops Memorial Pier, which juts into the sound from the west end of the bridge. There’s also a local cruise company, Crystal Dawn, that runs bird-focused tours. The bridge is also known as the Old Manns Harbor Bridge. Purple martins tend to be there from early July to mid-August.